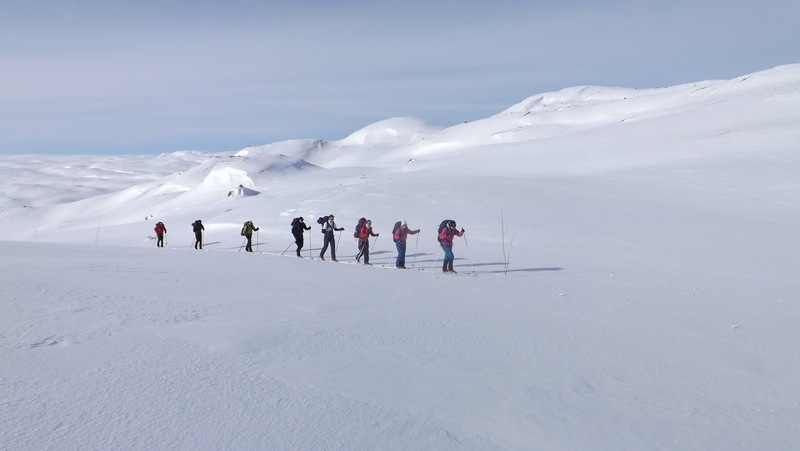 Cadets on the Norway Cross Country Ski Expedition experienced the full range of winter weather conditions during their week skiing over the Hardangervidda mountain plateau. Despite the stormy conditions our group of 6 boys and girls made quick progress acquiring the necessary ski skills to complete a demanding Hut to Hut Expedition. Norway has an extensive hut system allowing skiers and hikers to explore the mountains whilst travelling from hut to hut. The huts vary considerably in size and facilities, some have guardians that prepare your food others simply have a well-stocked larder and you cook for yourself. Our base for the expedition was the Finse Hut which is conveniently situated alongside a railway station. After a breath taking train journey we arrived at the isolated station that is only accessible by train to commence our training. For the first two days we trained out of the Finse Hut; this was our first experience of cross country skiing so we familiarised ourselves with the equipment and basic techniques ready to ski out to the Kraekkja Hut on day three. The advantage of using the huts rather than camping is that it ensures you are able to ski with a lighter rucksack however the importance of carrying the correct emergency equipment was very evident as we set off into a full blown storm. 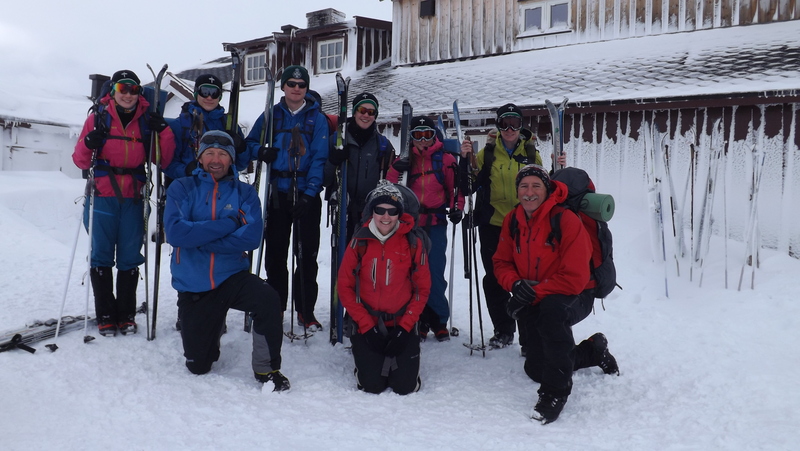 As the group pushed on into the face of strong winds and snow it became very obvious that skiing was not the only skill we needed to learn; leadership, team work and resilience was all tested on this demanding ski tour. We arrived at the hut exhausted but having learnt some important lessons about working together and dealing with the extreme elements. As the week progressed our ski techniques improved and we become more efficient at moving as a group. Individuals were given an opportunity to lead each day and learn the importance of good route selection and group management. Mercifully the best weather was saved for the last day, a ski from the Kjeldebu Hut back to the Finse Hut. The morning started early with the need to get the wood burner going before the team could cook pancakes and melt snow for water. In glorious conditions we set off with skins fitted for the initial 90-minute climb out from the hut. 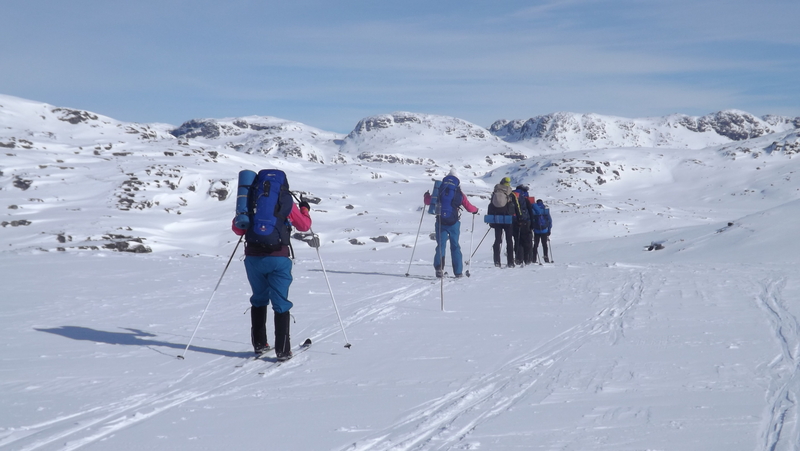 The rest of the day we skied at an excellent pace passing through the stunning Norwegian mountains back to the Finse Hut, a total of 28km. Tired and hungry we savoured the relative luxury of the catered hut and sat down to be served a hearty meal of reindeer meatballs…..again! Reindeer meatballs are tasty but three times in one week was stretching it! 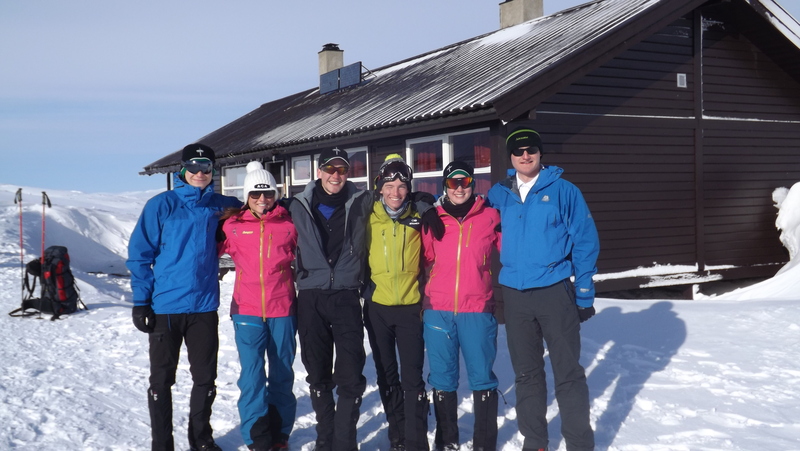 Our Norwegian hosts were all very impressed by our group’s achievements during what was our first week of cross country skiing, especially given the demanding conditions. The group displayed great effort, determination and good humour in what was a challenging but hugely enjoyable week. The training could only be achieved with the support of the MOD Adventure Training Scheme and the financial support of the Ulysses Trust, both of which helped to ensure our group were provided with a unique and hugely beneficial outdoor experience. We all returned to the UK having mastered the basics of cross country skiing and in addition we had learnt a huge amount about working as a team, self-reliance and leadership, all valuable life skills.